In a city as crowded with cafés as Malaga, you have to do something a bit special to stand out from the crowd. So whether you serve your coffee from a stall in one of the city’s most exciting new covered markets or to customers relaxing underneath art created by the area’s top emerging artists, being original is a must. With that in mind, Culture Trip has selected the coolest, most inventive cafés to visit in the beautiful historic centre of Malaga. 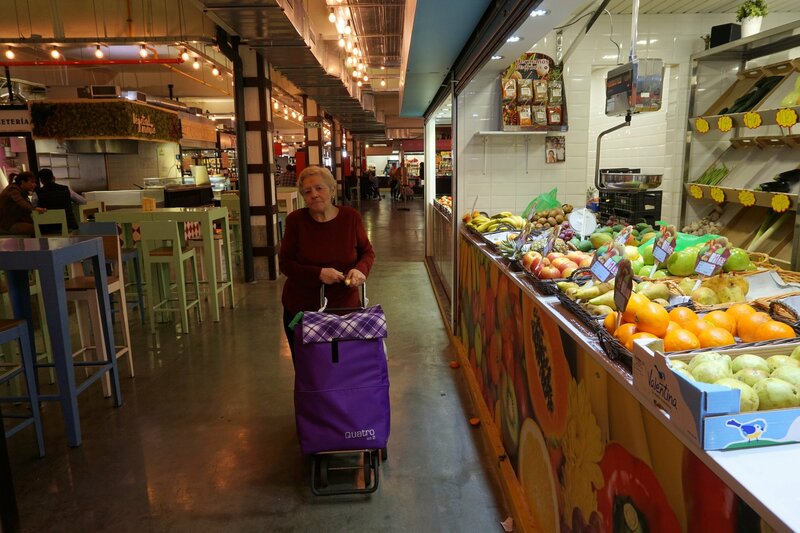 One of the coolest places to enjoy breakfast while watching Malaga wake up is the recently renovated Mercado Merced, in the heart of the old town. Trendy spots for coffee and churros – or any other kind of breakfast you fancy – line the terraces of this super-cool covered market and provide an ideal location for people-watching as the nearby Plaza Merced, on which Picasso was born in 1881, springs into action. 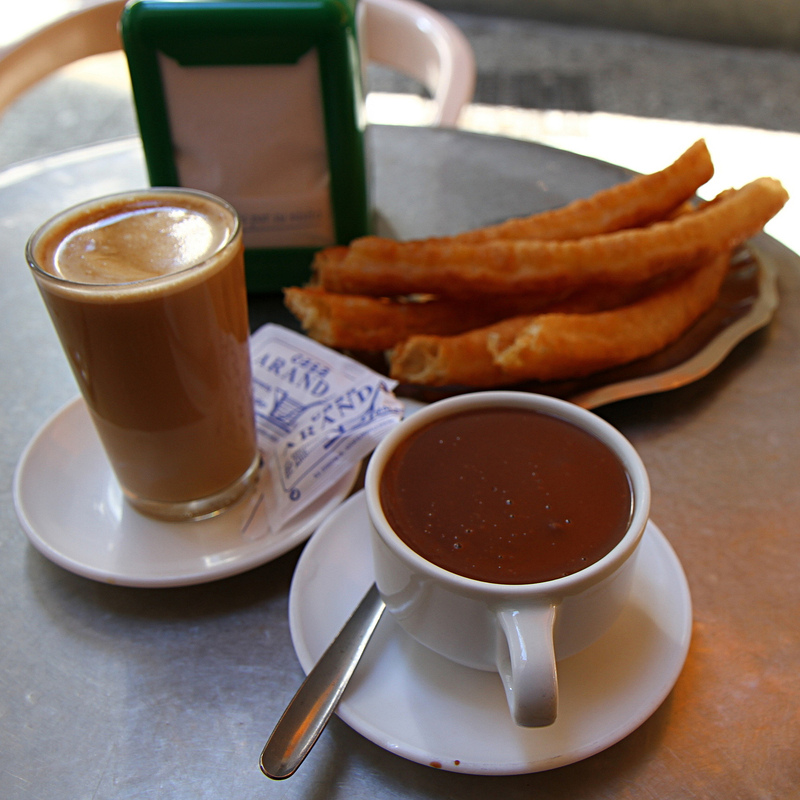 Excellent and speedy coffee to go (‘para llevar’) is also available from many of its 22 lively stalls. Casa Aranda is an institution in Malaga and is famous for its amazing homemade churros – the delicious fried dough pastries without which most breakfasts in Andalusia would be unthinkable. For over 75 years, this family-run joint has been churning out these decadent and incredibly moreish snacks for both visitors and locals, who enjoy them along with superb coffee in an old-style, joyfully chaotic atmosphere. Also recommended is the ‘hot chocolate’ – a thick, rich beverage which makes other, similarly named drinks seem like pale imitations. 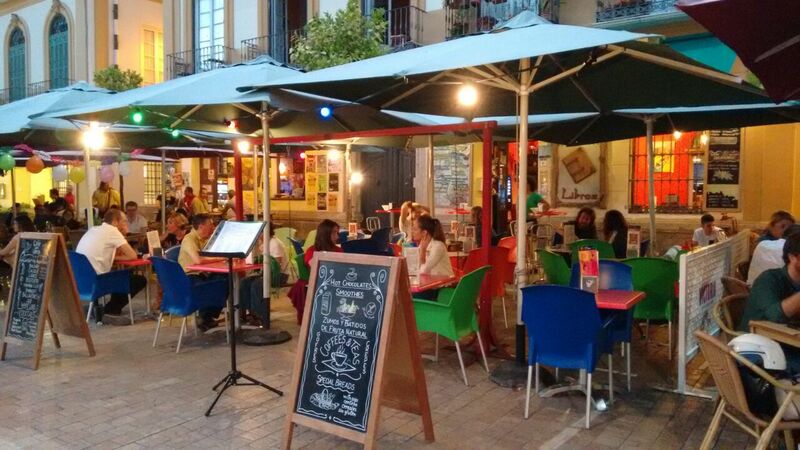 Situated on the coolest square in Malaga’s old town and just a couple of bars away from the house in which Picasso was born, Café con Libros‘s sunny terrace is an unimprovable spot for a leisurely breakfast or lunch. As the name suggests, its warm, cheerful interior sees books lining the wall and is a lovely space to enjoy the café’s full range of drinks and dishes – from churros to pasta, coffee to cocktails – on the rare occasions when the terrace isn’t usable. Friendly service is provided by the team managed by Juan and Alicia, the couple who own the café. 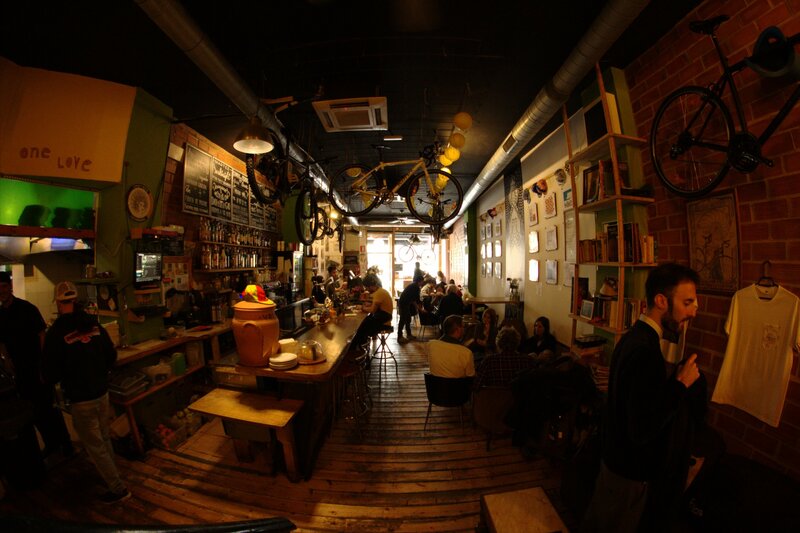 Few of Malaga’s cafés make a statement in the way that this funky little place does. Offering the freshest, locally sourced produce, displaying art created by local artists and running a bike rental outlet is a pretty good way to make a name for yourself in a city teeming with cafés. The kitchen team at Recyclo creates a range of breakfasts fresh each morning, complemented with coffee from small local businesses rather than from some far-off mega factory. Their innovate menu also caters for lunch and dinner and offers unique dishes such as vegetarian chorizo. 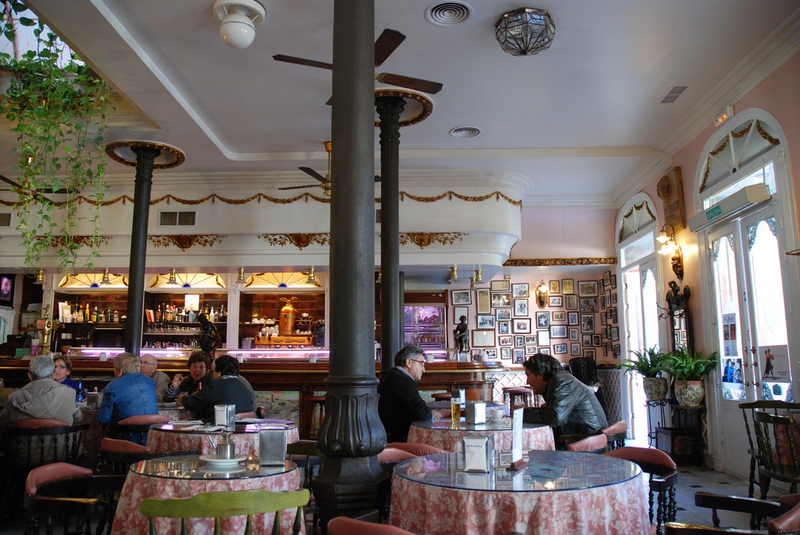 A traditional Andalusian old-style café and restaurant with a difference, El Jardín stages regular flamenco shows and tango evenings as well as offering some of the best breakfasts in town. Located in a grand old Malaga townhouse dating from 1887, this ornate café also enjoys one of the most privileged locations in the old town and has a charming terrace right next to the cathedral’s beautiful gardens. Here, you can enjoy a simple breakfast of tostada served with the freshest tomato ‘frito’ and best quality olive oil. Attached to one of Malaga’s most reasonably priced boutique hotels is also one of the city’s coolest, most original cafés, Café Dulces Dreams. In its modern, light and airy space, you can enjoy the standard Spanish breakfast offering of tostadas, but served with a modern touch: ricotta cheese and honey fillings are on offer as well as the traditional tomato and olive oil. 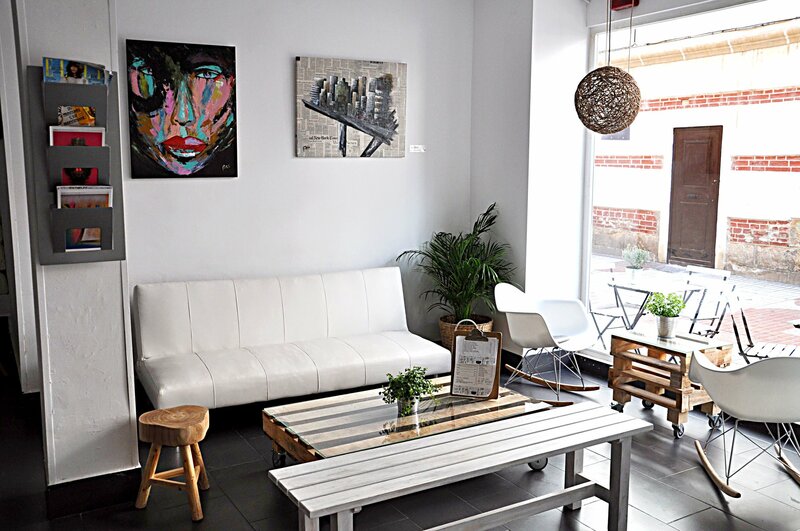 A monthly refreshed display of local art by Malaga’s emerging artists adorns the walls, and the organic coffee is popular with both locals and visitors alike.